A tool is only useful if it integrates seamlessly with your production pipeline and with your workflow. In this post, we will see how AudioBot can integrate with your other audio tools to boost your productivity. 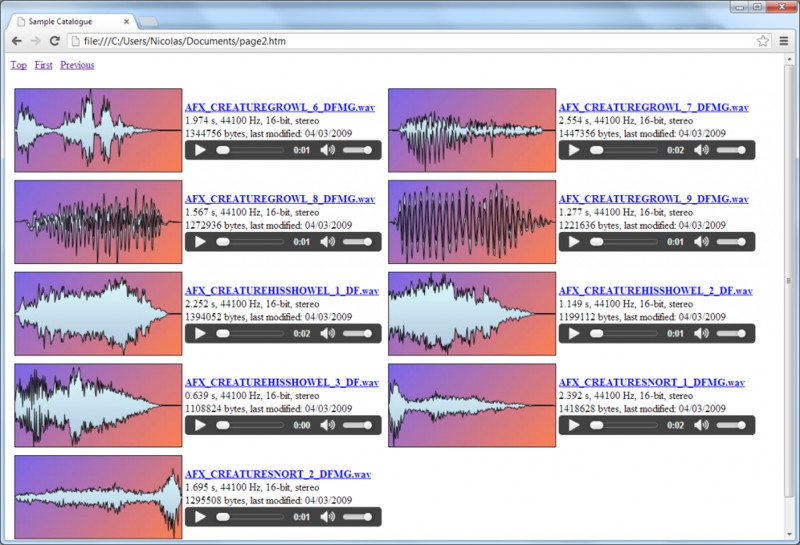 AudioBot exists both as a GUI tool and a command line executable. Both work with the same AudioBot project files (.bpp). 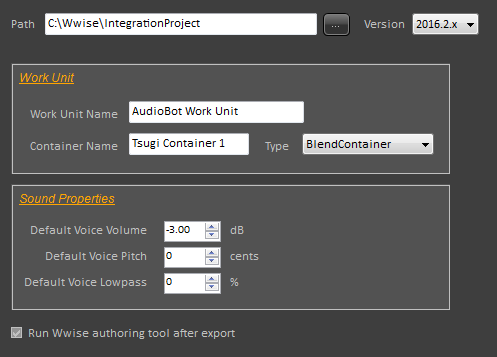 There are many ways to interface AudioBot with your production pipeline, either at the import, processing or export stages, as depicted below. AudioBot can get the files to process in many ways. It can import audio files in the wav, aiff, mp3, ogg vorbis and flac formats, either one by one, by groups or by full folders. It can also get files referenced by playlists from WinAmp (.m3u) or the Windows Media Player (.wpl). Moreover, if some of your production tools (dialogue editing programs, animation plug-ins) generate Excel sheets, XML files or text files containing a list of sample paths, AudioBot can import the corresponding audio assets as well. If you have more specific needs – for example you may need to extract the individual sounds from a bank format – you can still develop your own importer plug-in using the AudioBot plug-in SDK. As you can see, there is really nothing preventing AudioBot to access your audio data! In all cases, don’t forget that if you wish the filter settings will allow you to import only the files that match the format of your choice. For example, it could be that you are only interested in the files created during the past week, having a certain name pattern, and only if they are in 24-bit 48 kHz. Finally, you can also put a watcher on a folder so that any files created or copied in that folder are automatically processed. This can be useful for example to gradually process all the files delivered by a provider or other members of your team as they arrive. At the processing stage, AudioBot comes with internal Tsugi plug-ins providing all the basic treatments you may expect from such tool: channel down-mixing, sampling rate conversion, silence removal, injection of metadata and more. However, should you need more specific treatments you can use your own VST plug-in chain. So if you are using the same “Radio Dialogue” treatment every time, you can set it up in AudioBot and batch-process all your voice files with it. AudioBot also supports VAMP plug-ins specialized in audio analysis. Using VAMP plug-ins, it is for example possible to analyze a group of songs and save a file with their chord progressions or to export various loudness metrics for your dialogue files. Of course, if you have very specific requirements, you still have the possibility to develop your own AudioBot processing plug-ins using the AudioBot plug-in SDK. Finally, don’t forget about the pre and post-batch command settings that allow you to run external commands before and after the batch-processing, providing another way to interface with your audio pipeline. AudioBot’s exporting capabilities definitely set it apart from other batch processors. In addition to being able to convert sample files to other formats, AudioBot offer a wide range of exporting options. If you are working in game audio, you will no doubt be interested by the automatic export to the most recent game audio middleware such as Wwise, FMOD Studio or ADX2. Not only will AudioBot add the waveforms to your game audio project, but it will also create all data structures from banks to events and configure them according to the parameters you specified. For example, in the case of Wwise, you can select the target work unit, the name and type of the container as well as the default volume, pitch, and lowpass cutoff. 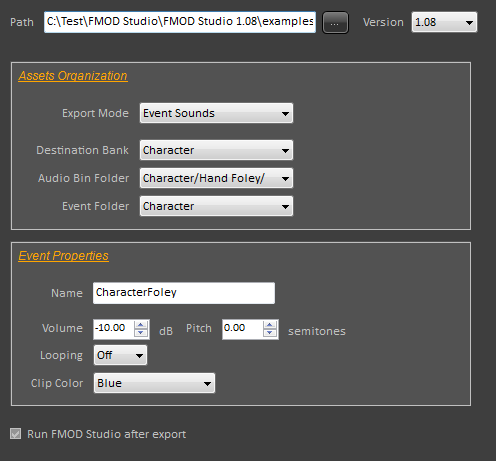 In the case of FMOD Studio, you can choose to only export the wave files or to create single, multiple or scatterer events. Banks, audio and event folders can all be specified, as well as the default parameters of the events. 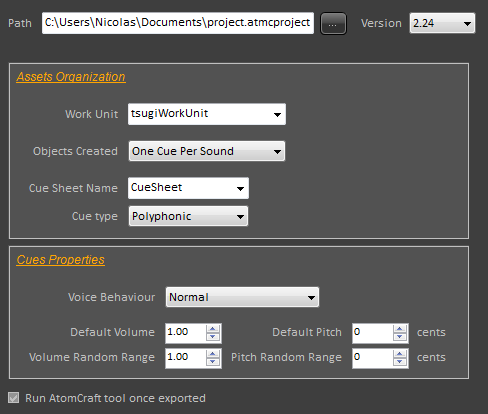 AudioBot can also export towards AtomCraft, the authoring tool of the ADX2 game audio middleware. Similarly, the Work Unit, Cue Sheet, the Cue type and the basic Cue parameters can be chosen. 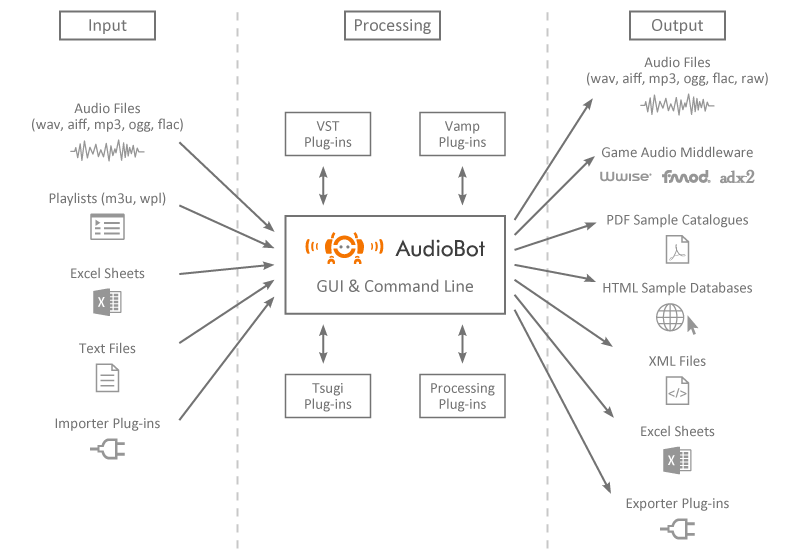 AudioBot can also generate lists of samples in the form of Excel sheets or XML files and, as for input and processing, if you need to interface with a very specific proprietary technology, you always have the possibility to develop your own exporter plug-in using the AudioBot plug-in SDK. You can also generate PDF sample catalogues (including graphical representations of the waveforms and spectra) and HTML web sites to browse your collection of samples. The picture below shows an example of HTML page generated by the program (colors, number of sample per page etc… can be adjusted). Alto is the audio dialogue tool from Tsugi. It is trusted by all main game companies, voice recording studios and localization agencies to process large number of dialogue files and to ensure their quality and their conformity, even across multiple languages. 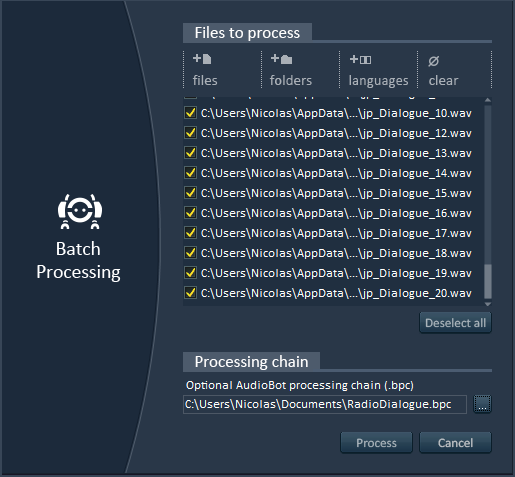 Alto provides an option to batch-process the dialogue files with AudioBot. Whenever you call the “Bath Process with AudioBot” command, Alto generates an AudioBot project referencing the dialogue lines you want to process, starts AudioBot and load the project. 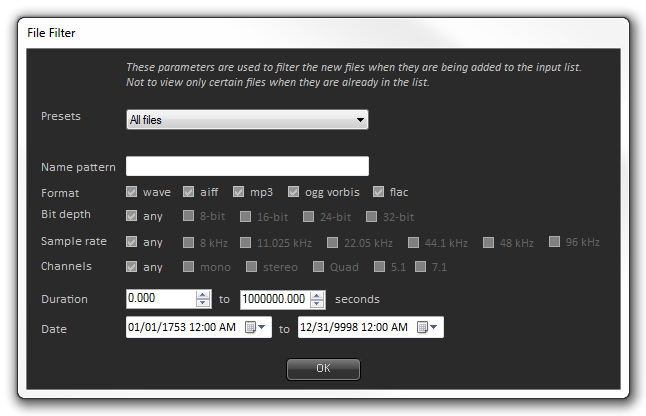 If you previously saved a plug-in chain in AudioBot (a .bpc file), you can also specify it and it will be passed along. Then, once AudioBot automatically started, all is left to do is final adjustments if needed and press the “Start” button to process all your dialogue lines. AudioBot is a very versatile batch-processor that can be integrated in your audio pipeline in many ways. 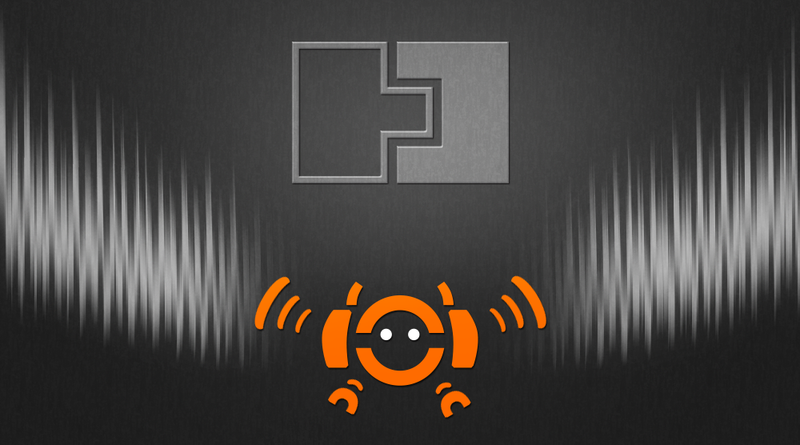 So don’t wait a minute: visit the AudioBot product page and download the latest demo version.